This is our "12 regular cup" or "24 mini cup" size bakery box. 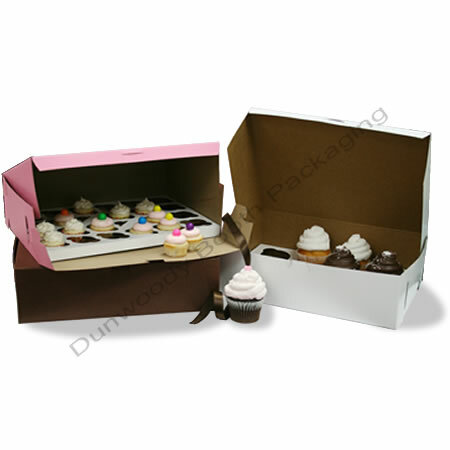 Bakery boxes are 100% recycled and have a kraft interior, and are FDA approved. Ships flat. Measurements: 14" x 10" x 4"